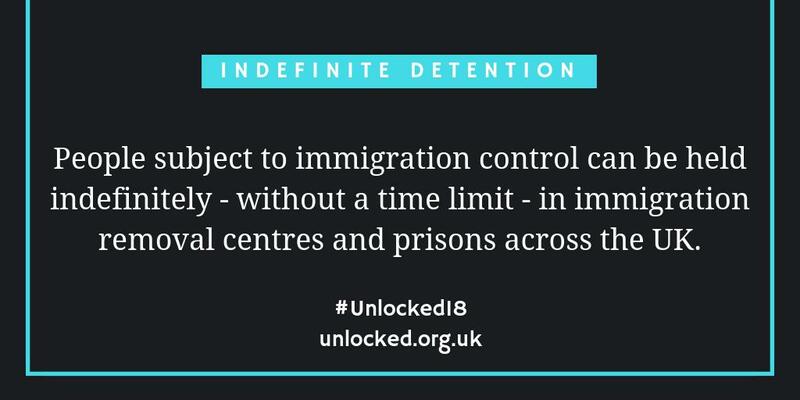 This post was written for Unlocking Detention by Stuart Crosthwaite, Secretary of the South Yorkshire Migration and Asylum Action Group (SYMAAG), with thanks to the refugees and asylum seekers quoted here (some names changed) and to John Grayson whose ‘academic activism’ contributed to this article. 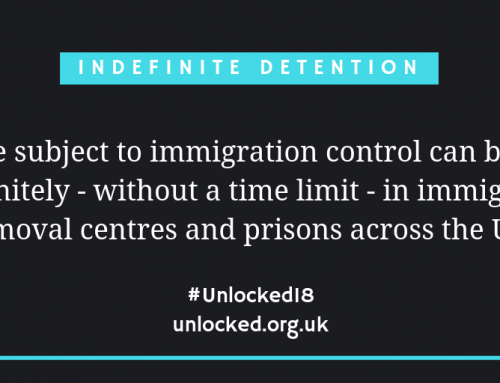 This post was published as our partner Justice Gap‘s #Unlocked15 article of the week. The first event we in the South Yorkshire Migration and Asylum Action Group (SYMAAG) organised was in 2007: a 3 day, 30 mile march from Sheffield Home Office to Lindholme Immigration Removal Centre near Doncaster to protest against detention. Lindholme is now closed, the Home Office building has moved but we are still here. The Home Office South Yorkshire asylum reporting centre is now at Vulcan House in Sheffield on the banks of the River Don. Except for temporary holding cells beneath Vulcan House there is no immigration detention centre in South Yorkshire. The nearest is Moreton Hall in Lincolnshire. But for people seeking asylum who are obliged to report to Vulcan House each visit carries with it the threat that they will be detained. And the Home Office are keen to reinforce this fear. “I’m always sick… the week before I go to sign” Pride from Cameroon explained. Mohammed from Sudan couldn’t sleep the night before his reporting day at Vulcan House and packs all his immigration case papers in a rucksack each time he has to go to report. Image – August 2008: South Yorkshire Sudanese community demonstrating outside Vulcan House for the right to work and to be treated respectfully. We soon discovered the newly built glass and steel Home Office HQ and surroundings had excellent acoustics. The Home Office policy to create a “hostile environment” for ‘illegal’ migrants is being put into practice at Vulcan House. Officials have handed out compulsory questionnaires (in English) to asylum seekers, demanding comprehensive personal and family information from people signing. Questions range from data-trawling: personal details of everyone who lives in the same house as the person reporting, to the apparently casual “how do you spend your time each day?” (designed to question voluntary activities). Then there’s the question “what are your hopes for the future”? Apparently innocent, but in the hands of the Home Office, a tool for entrapment. The question appears designed to push people into the ‘Voluntary’ Assisted Return and Reintegration Programme (VARRP) if anyone gives the (understandable) response of “I hope to see my family/country/home again”. HO: We can help you with travel home, pay for your fare. Do you want us to help you with that? HO: When do you want to go? When Grace explained that the bus to Rotherham costs £2.20 the nature of the misunderstanding became clear. She walked back home. Representatives from Sheffield asylum rights charities had sought a meeting with Home Office staff from Vulcan House to talk about the intrusive questionnaires, the rude and aggressive selling of the ‘Choices’ scheme and the right to be accompanied when reporting at Vulcan House. At the meeting in February 2015 hosted by local MP Paul Blomfield, whose Sheffield constituency includes Vulcan House, the representatives were surprised to find that the Home Office had sent along its head of asylum ‘Reporting Centres’ for the Yorkshire and the North East region. Then she read out a lecture about her exercise of powers under the new Immigration Act of 2014 (checking on addresses and landlords who housed illegal immigrants) and hinting that anyone (not just landlords) giving assistance to “illegal immigrants” in the future might find themselves subject to the law. She also threatened the representatives with the prospect of an order “at present on the Minister’s desk waiting to be signed off” banning volunteer escorts from all Reporting Centres. The Home Office’s Vulcan House has also been the chosen location for the organised interrogation of 26 Sudanese asylum seekers by Sudanese Embassy officials, described as “re-documentation interviews” in 2011. 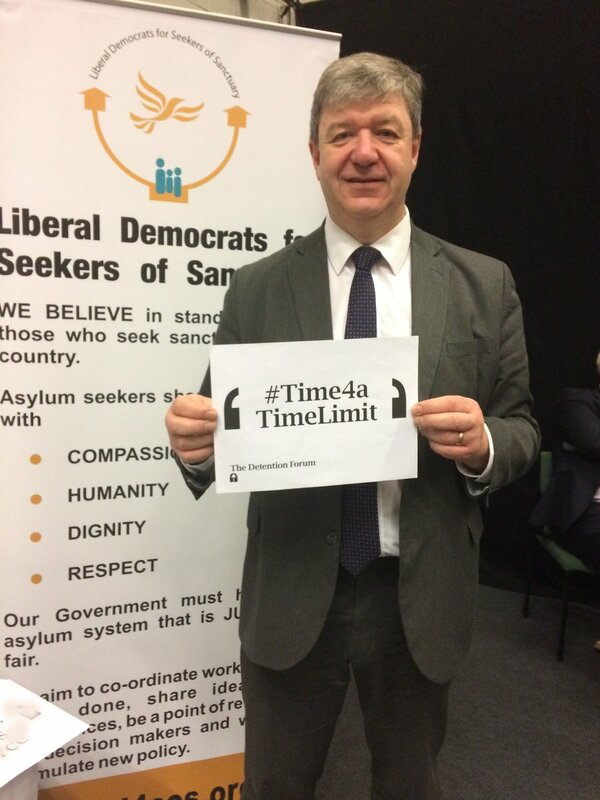 In testimonies from those people subjected to this – possibly illegal and clearly intimidatory – practice there were reports of threats to the asylum seekers’ families in Sudan and attempted bribery. “The Border Agency are playing a game to scare us” was one man’s assessment of the process and a report titled with this statement was compiled and presented to the Home Office. Despite repeated questioning of the procedure by SYMAAG and Waging Peace the (then) UKBA response was vague and evasive. A reference to our report on this practice in the August 2015 Sudan Country Information Guidance (see 4.1.4) blithely states that attendance at the interviews was “purely voluntary”. 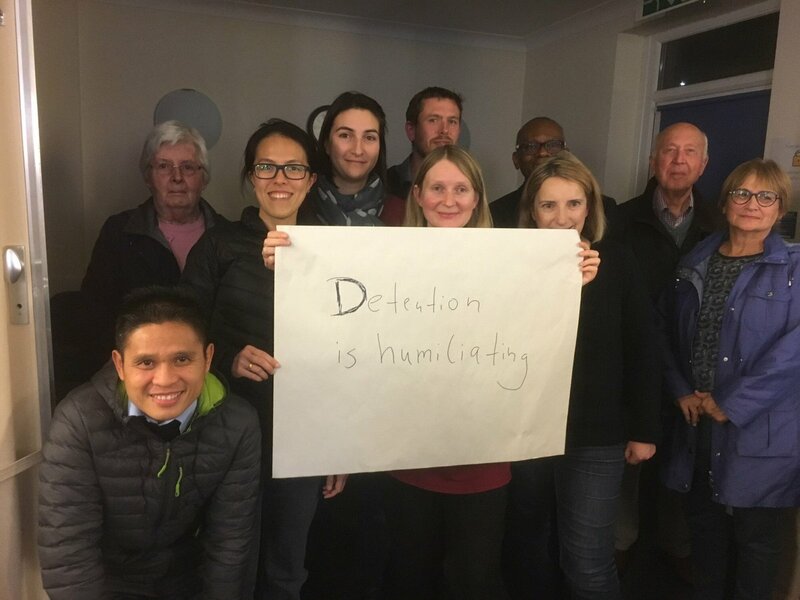 What would you do if you feared renewed torture in Sudan and received a Home Office letter stating (in bold) that “Failure to do so” (attend the interview) may affect any outstanding claim you may have with the Home Office”? Opposition to these interviews sparked the formation of support networks within Sudanese communities in the UK and with campaigners. On other issues, people seeking asylum and asylum rights advocates have worked closely. In 2012 approaches to (then) UKBA at Vulcan House resulted in a commitment from them to ensure all staff wore clearly identifiable numbers, after complaints of rudeness and bad treatment. UKBA added that the new ID would also enable particular staff to be congratulated on their ‘good practice’. While it’s not clear how many official compliments have been received by Vulcan House staff from people forced to report there, asylum seekers are quick (and generous) to point out that some workers there are respectful and efficient. The baffling changes in reporting regulations and the general regime at Vulcan House suggest that many measures are the knee-jerk responses of Vulcan House officials to higher management and ministerial pressure to ‘get tough’ and ‘get results’. For example the questionnaires mentioned above were heavily pushed to people reporting at Vulcan House for a few months with repeated warnings that it was “compulsory” to complete them. After a few months these badly photocopied grey sheets were forgotten and have never been mentioned again. The Home Office at Vulcan House appear to lurch from one fear-inducing scheme to another but with the clear intention of making life hard for people who can’t return home because of the threat of war and persecution. The 2014 Immigration Act attempts to turn landlords, bank workers and health workers into informers and border guards. The Dial strategy seeks to smear people seeking asylum as somehow linked to “organised crime”, thereby enlisting state and private security forces to spy and enforce when required. State and private data-holding/collecting bodies like the DWP and Experian invisibly back up the effort. Capita were paid to send texts direct to peoples mobile phones, telling them: “You are required to leave the UK as you no longer have right to remain.” Despite that fiasco – many people texted were UK residents, an immigration lawyer in one case – Capita are now paid more public money to tag asylum tenants who have committed no crime. 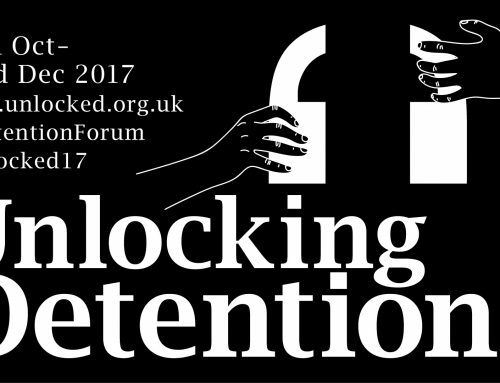 Asylum housing landlord G4S also runs detention, transport, even asylum advice services – a kind of monitoring and enforcement one-stop-shop. There are signs in G4S asylum houses in Sheffield issuing curfews, telling the tenants they must stay in the house overnight. “Soft detention” as John Grayson calls it. This summer I demonstrated alongside many other people against Yarl’s Wood detention centre, despite its physical remoteness. It was a visceral experience, hearing and seeing the women’s resistance, watching the perimeter fence pulled, rocked, then torn down as the police looked on awkwardly. Later we learned that Serco had tried, pathetically and unsuccessfully, to distract the women with a game of bingo with “cash prizes” while we demonstrated. It was a public relations disaster for Serco and the Home Office and both demonstrators and detainees were emboldened. I’m not suggesting that brick walls, bingo and security guard style immigration detention is finished but that it will be increasingly augmented with means of surveillance, confinement and coercion that are harder to locate, identify and therefore challenge. As an Iraqi Kurdish refugee in Sheffield astutely remarked “They want us to imprison and deport ourselves”.